On holiday in Rio de Janeiro and in need of assistance then contact the British Consulate Rio de Janeiro for consular assistance. You can also contact the British Embassy in Brasilia for assistance if the Consulate cannot assist you. 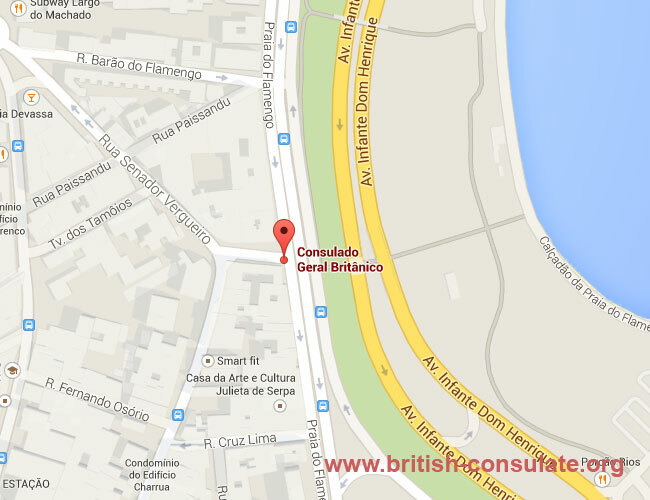 The contact details for the British Consulate in Rio has been listed below with a map and telephone and street address details. You can speak to the Consulate about a British visa such as a partner visa or education visa for the United Kingdom. You can also ask for advice on local lawyers and hospitals. See: Consulado Geral Britânico.